xoxo, Jen: Illyrian: Gold Lion stamped! 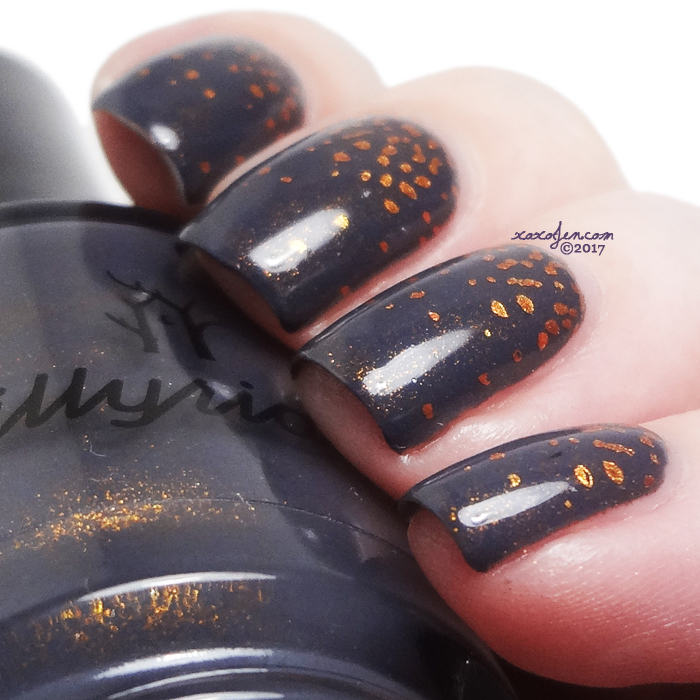 Remember that pretty charcoal grey with sparks of copper shimmer that I reviewed a few days ago? I used the cascading dot design from the Lina Lovely Leaves plate. The stamping polish is Kaleidoscope copper flame, 32. It is my very favorite copper stamping polish! I love the result, what do you think of it?